We’ve taken the work out of all your favorite homemade Liang Cha Herbal Tea recipes and are brewing them fresh for you with no artificial sweeteners or preservatives. Locally made, small-batch, and kept fresh in glass bottles. Just the way Liang Cha should be. 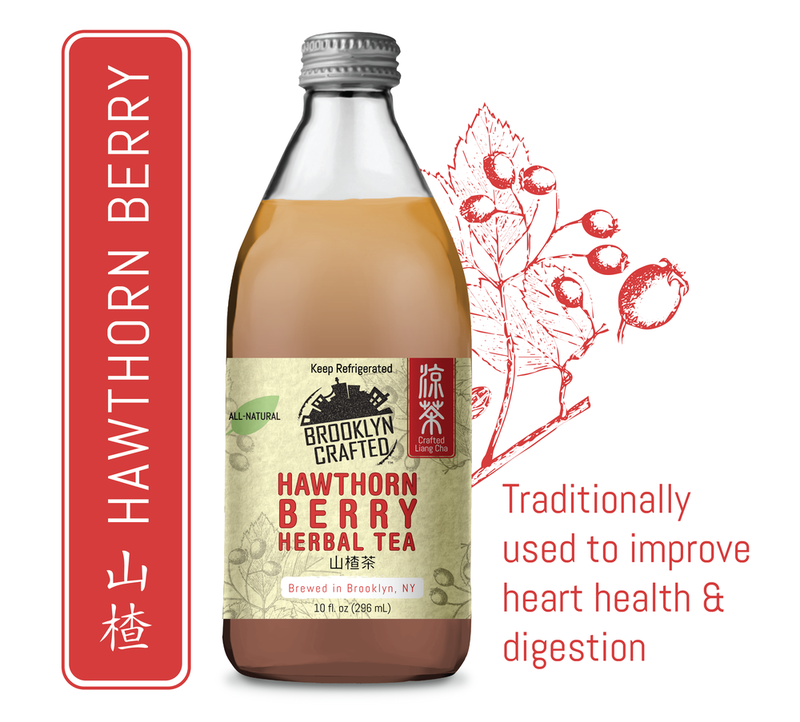 Hawthorn is a tart berry that is traditionally used to improve heart health and lower cholesterol. By adding a light touch of ginger and chrysanthemum, we’re adding a delectably sweet & floral finish to this classic recipe. Traditionally used for its detoxifying properties, prunella tea is an age-old brew that is perfect for reducing bloat. By adding a light touch of ginger, we’re spicing up this classic recipe to deliver even more goodness per bottle. 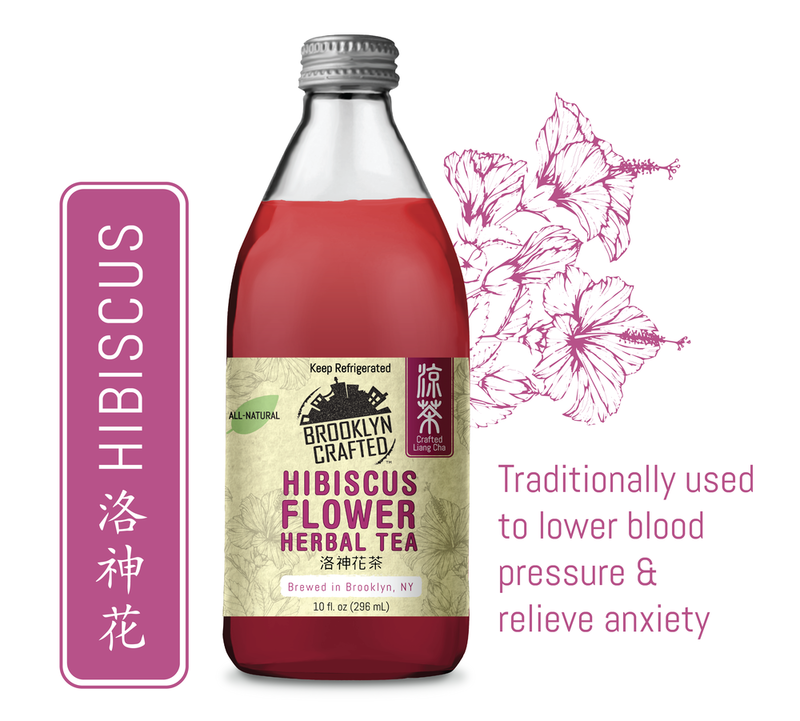 Hibiscus is a vibrant flower that has long been used to lower blood pressure and relieve anxiety. 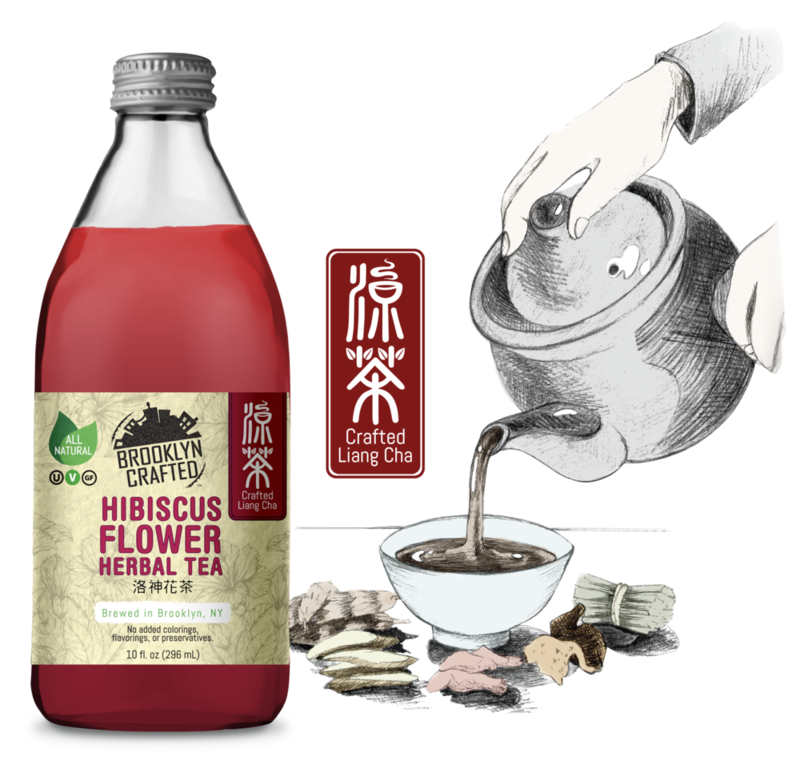 Our recipe brews it together with pomegranate juice, ginger, and goji berries, making an antioxidant-rich hibiscus tea that is better than ever before. For centuries, ginger has been used in chinese medicine to boost immunity and improve digestion. By lightly sweetening with dark brown sugar & jujube dates, we’re brewing a tea that’s sugar, spice, and everything nice. Our chrysanthemum flower tea is the least sweet flavor in the Liang Cha collection. Traditionally used to clear skin and improve eyesight, chrysanthemum is an aromatic flower that’s brewed and lightly sweetened to perfection in our Liang Cha recipe.